KARL Stefanovic is an engaging, warm, witty bloke who oozes charisma, and, when he turns it on, total charm. But over the past two years, his much-vaunted and carefully-honed public image has cracked. The highest paid man in Australian television now comes across as arrogant, and his nine lives with Nine must surely be stacking up. Karl pasted on a happy face and gave a wave to the cameras as he left Nine studios today. But behind the scenes, Nine bosses aren't smiling. He's on the nose with his most devoted viewers - the mums who tune into Today, who haven't forgiven him for his marriage breakup. Now they also think he's overpaid and entitled and slags off his colleagues and bosses. For years as Karl rose to become a Gold Logie-winning star, his easy charm and larrikin likability paid big dividends for Channel Nine. He could turn up drunk for work after the Logies, and it was hilarious. Karl was being Karl. If he went too far, like he did with transphobic comments in 2016, he could look down the barrel of the camera, admit he was "an ignorant fool", unreservedly apologise, and be believable. Aussies loved his irreverence and honesty. His ability to flick the switch to cool-headed professional news man - a trusted anchor on big breaking news stories - made him Nine's biggest asset. But the tide has turned. Stefanovic's wholesome, professional and family man image has been tarnished. He's looking like a liability. 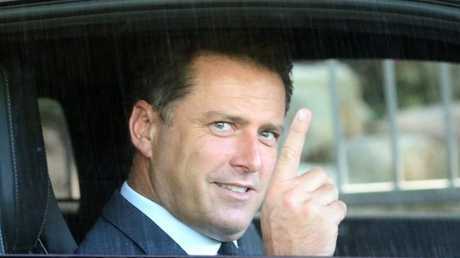 Now as professional ructions and career dissatisfaction and disquiet are played out in public thanks to a conversation in an Uber - along with Today show ratings that are at best sluggish - the blow to the reputations of Karl and younger brother and Nine stablemate, Peter, may well be the moment brand Stefanovic jumps the shark. Not even the brothers' pre-emptive mea culpa - publicly apologising to their colleagues on Sunday for what had been said in that conversation before it all became public - will dull the damage this time. Industry insiders say Nine needs to call time on the perception brand Stefanovic goes unquestioned at the network, if it seriously wants to shed its image as a "boys' club", and restore the tarnished Today show. "The comments (during the Uber call) about 60 Minutes and news bosses will cut a lot deeper than those about Dickie's (Richard Wilkins') contact book," said industry commentator and TV Tonight editor David Knox. "It's being dismissed as the equivalent of TV locker room talk, when [Nine] management have been working hard to overcome network myths about a 'boys' club'." Many wonder how Georgie Gardner - the much trumpeted replacement to Karl's longtime co-host Lisa Wilkinson - can sit alongside Karl daily knowing he hasn't got her back. It hardly reinforces Today's team approach. "On-air boofhead comments are one thing, but Karl has questioned the credibility of his co-host which is highly damaging to her as an individual and them as a team," Knox said. "Australia seems to revel in the salacious backstage drama of breakfast TV and these are words that the audience will likely remember for some time. "One can't imagine Georgie ever thought she was signing up for this sort of mess. "Karl's comments undermine everything producers and management have been trying to build around the show following bad press around the departure of Lisa Wilkinson. "Breakfast shows enjoy an intimate rapport with the audience, as recent promos suggest, but viewers won't like the arrogant nature of the exchange on the back of headlines around his personal life. It's quite possibly the best gift Sunrise has ever had. 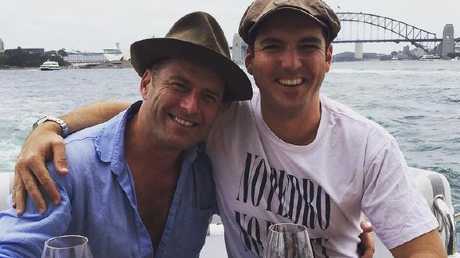 Nine has long protected brand Karl, and cultivated brand Stefanovic as Peter's profile has risen, but the Uber scandal will damage the younger Stefanovic, with the network ready to act on his disquiet, insiders say. "They don't want to create another Karl - or to be seen to be creating one," one Nine source said. Brand of brothers: Karl and Peter Stefanovic. Picture: Instagram. The Uber conversation saw Karl urge his brother to push for $60,000 story budgets "and not take no for an answer" as Peter voiced his dissatisfaction with his role, colleagues and said his ideas were knocked back and he hated his job. The brothers described some executives at Nine as people who "didn't know anything and … are out of touch". Knox isn't the only one suggesting those words could backfire very badly. "It's a very bad look for Peter Stefanovic, and if he is so unhappy [Nine CEO] Hugh Marks may do him a favour and loosen the brothers' grip on two editions of the [Today] show," he said. Nine may no longer be prepared to brazen out the bad publicity. Insiders say Nine bosses, are just about out of patience, and the star may be out of protectors. 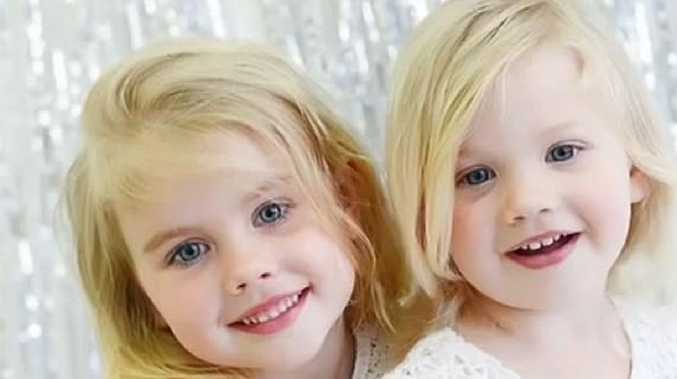 "Talk about nine lives for Karl," Knox said. "His mate David Gyngell may have made excuses for past mistakes, but Hugh Marks is not likely to be so generous." For almost two years, Nine has fiercely protected their star as his private life went into turmoil. Karl Stefanovic and girlfriend talk about media: In a first public appearance in Melbourne the couple talk about the media attention they receive. While the lustre was wearing off behind closed doors, viewers still loved him, so Nine bosses had no doubt about his worth. There are suggestions that has now changed. "Karl - the man the network built as the man of the people is appearing tone deaf to what the people actually think, or that he doesn't care what they think," one source said. Entertainment journalist Peter Ford said the problem is "the arrogance here and the unhappiness that comes through that will be a very hard wash". "Research shows people who watch people on TV want to believe (they) really want to be there and that they're happy and they're grateful for their jobs," he added. Brand Karl was built on the back of larrikin charm and a cool news head, and struck gold more than a decade ago when the pairing of Karl and Wilkinson started the rebuild of the Today show. Along the way, Karl became fast friends with former Nine CEO David Gyngell, and billionaire James Packer. When Packer and Gyngell had a fistfight on Bondi Beach back in 2014, signalling the end of a long-time close friendship, Karl stayed friends with both. The Karl/Gyngell alliance at Nine saw Gyngell negotiate Karl's current contract - the rumoured $2 million deal that made him the highest paid man in television - before Gyngell stepped down as Nine CEO at the end of 2015. Amid negotiations, the usual stories surfaced of Karl wanting out of Today, being sick of getting up in the mornings, flirting with a move to the rival Seven network. In the end, he stayed with Today for a reported $2 million a year, with sweeteners of a prime time show, This Time Last Year, and regular 60 Minutes reporting gigs.. The contract is believed to be a three-year deal, which would see it end at the end of 2018. When Karl split with his now ex-wife Cassandra Thorburn, viewers weren't in a forgiving mood. In the eyes of many of the mums who tune into Today, Karl had left his wife and family for a younger model - their worst nightmare. Nine stood firm next to their star, the network publicity team brazening it out, putting Karl up for a mea culpa of sorts as This Time Last Year launched. The show rated well and it was thought the public was coming to terms with Stefanovic's relationship with his now-fiance Jasmine Yarbrough. But critics questioned the wisdom of the loved-up new couple partying on Sydney Harbour as his ex-wife moved out of the family home; or holidaying with Packer over Christmas. The ratings of Today took a hit, then steadied in 2017. Certainly it didn't have the momentum that had almost seen it knock Sunrise from a decade of dominance as number one breakfast show in 2016 (depending on which way you read the ratings figures), but the ship had steadied. Then late last year, Wilkinson spectacularly departed Nine after a contract dispute. She wanted to be paid the same amount as Karl, and when Nine wouldn't come to party, she left. CEO Hugh Marks backed Stefanovic, saying he was worth more than Wilkinson to Nine. Losing Wilkinson was another blow to Today's stocks - and Karl's brand - whether Nine admitted it or not. When Gardner was installed as Karl's new co-host it was a popular public decision. The pair's rocky relationship was well documented, but didn't become a professional problem until the Uber conversation surfaced. The timing was appalling. It came in the same week Karl held a "commitment ceremony" with Yarbrough - another unpopular move with many viewers, who saw it as the latest insult to his ex-wife and kids. Many wonder at what Nine draws the line at propping up their star in the face of an unforgiving public. "Nine already has Ben Fordham earmarked for the [Today] job and the ratings with him in the chair have not gone down," Knox said. "They went up." Today show has only won one ratings week this year: Karl was on a week off.